This morning, the White House announced the end of DACA. Immediately after, DACAmented immigrants and allies took direct action and were arrested at Trump Tower in New York. They are pledging their commitment to keep fighting for DACA recipients and all 11 million undocumented immigrants in the United States. Read their stories below. Catalina was born in Puebla, Mexico. Her father migrated in 1992 and her mom arrived to the US in 1994. Cat and her brother Li, were reunited with their parents in 2000. I am risking arrest today because I tired of being a political pawn for this administration. DACA is under attack because our community is refusing to play their game; this administration wants more enforcement, a border, and we are refusing to allow that. I refuse to be a bargaining chip for more enforcement that only serves to criminalize the immigrant community. I am here to say that we all deserve PERMANENT protection dignity and respect. I am here to say that DACA taught us how to fight, and I will now continue to fight, this time for all 11 million undocumented immigrants in this country. Our resilience does not depend on a work permit- this is just the beginning! Basi was born in Puebla, Mexico. Her dad arrived to the US first shortly after she was born and then her mom and her moved to the US when she was 3 years old. His dad decided to come to the US because he feared for his life after he was kidnapped in his hometown. Today I am risking arrest for my parents and to send a message that we are not afraid and that we are going to speak out. The US Government needs a solution that includes all 11 million undocumented immigrant. DACA was won by the community, it was not just given by politicians it belongs to us and we are going to fight back. I hope the American public and the immigrant community understand the risk we are taking. Juan Carlos was born in Morelia. Michoacan, Mexico. His family left his hometown when he was 4 years old. They decided to migrate because his family struggled to provide food and basic necessities. His parents knew that they would be able to provide for their family in the US to they migrated to Homestead, Florida. I want to let the country know that we will keep fighting for our rights no matter whos in office. I want to continue fighting for the dreams my parents had when they decided to migrate. I am risking arrest today because I owe it to my family and my community not to be silent in these moments. This is not a time to be silent. Erika was born in Durango, Mexico. Her family migrated to the US fleeing domestic violence. Erika is risking arrest today because there are thousands of people who are losing hope, who feel attacked and this is the time for us to model courage and to stand together because that was the only way we were able to to win DACA. We are undocumented and unafraid and today will not change that. 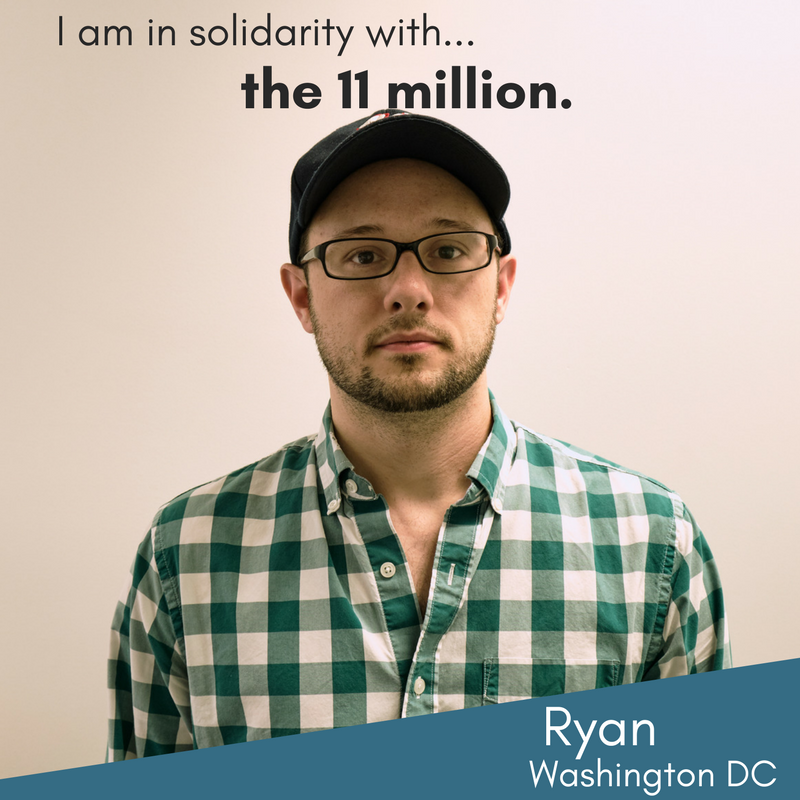 To the immigrant community - we are 11 million and we need to remember how we won DACA - by coming together and exercising our collective power and we need to use this anger and turn it into empowerment that will be the only way to defeat hate and bigotry and the attacks on our community. We need to continue to organize. Diego was born in Lima, Peru. His family migrated in 2000 and he reunited with his family in 2002. Diego’s family decided to leave Peru because of extreme poverty and terrorist violence. Immigrants and their youth from all over the world are structurally displaced by wars and economic collapses that they did not want, so it is my responsibility as a cis brown folk that is documented to expound ideals about universal citizenship while dismantling conceptualizations of nationalism that exclude people of color and marginalized communities. A decade ago now, the undocumented youth movement made the decision to come out of the shadows and put our bodies on the line. Direct action was how we won DACA. Today, with the historic end of DACA, we must do so again. We won't go back into the shadows. 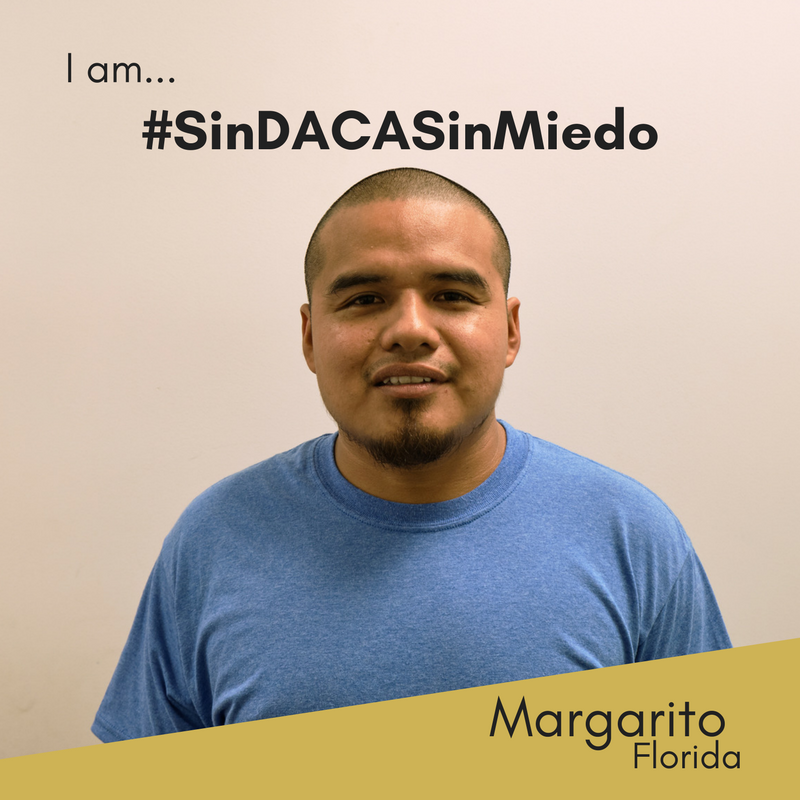 We are angry for all the young undocumented immigrants that haven’t turned 16 yet and are waiting to apply for DACA...for all the DACA parents that could lose the job that supported their family...for all the plans that DACA recipients had that now seem impossible.